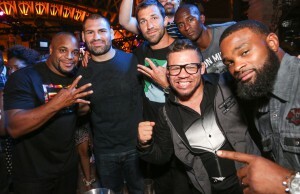 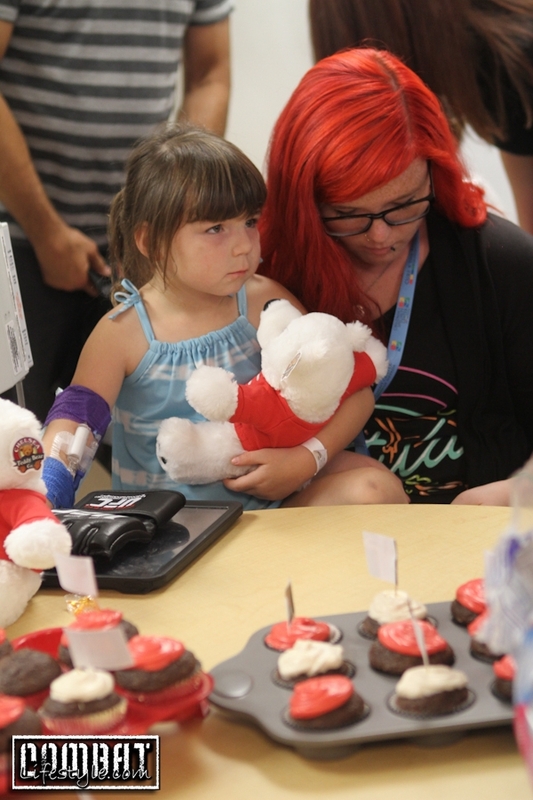 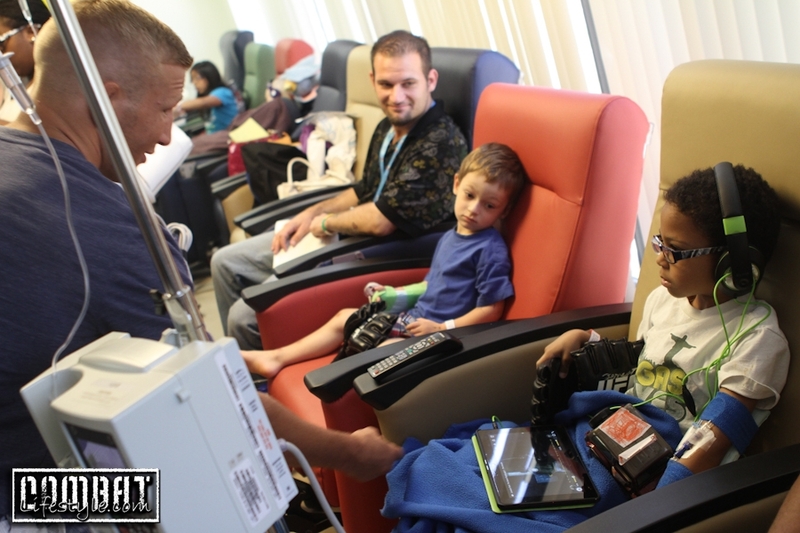 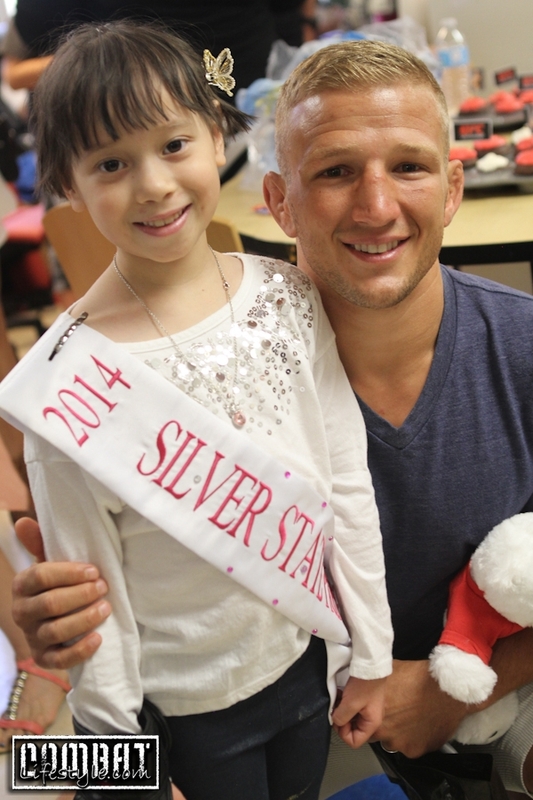 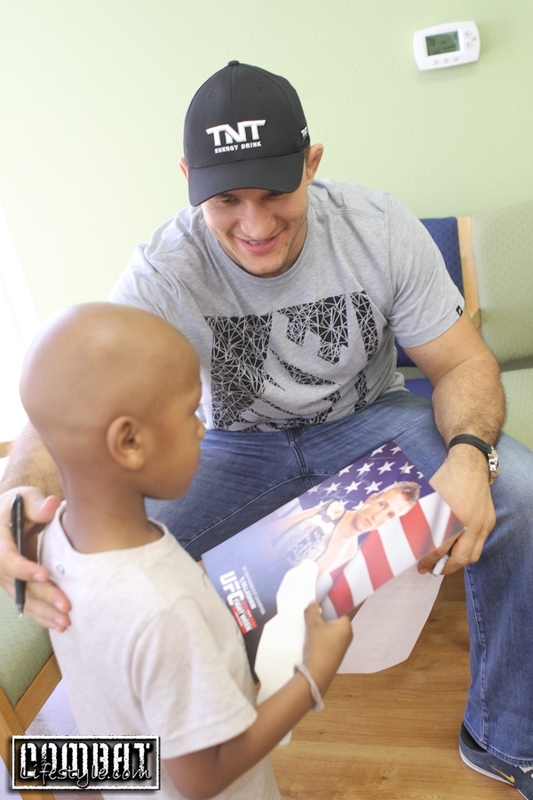 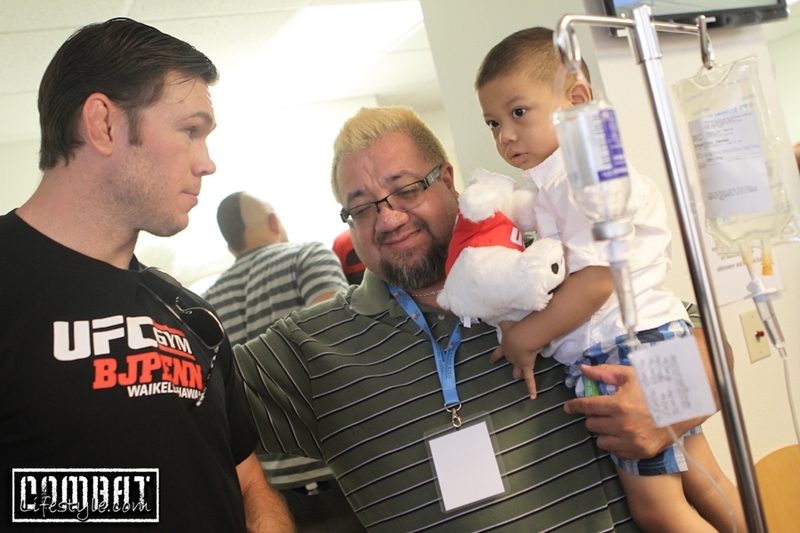 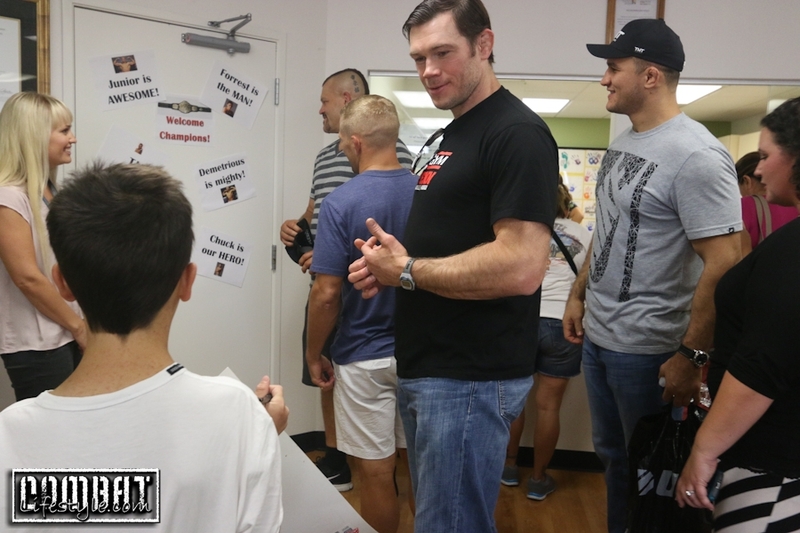 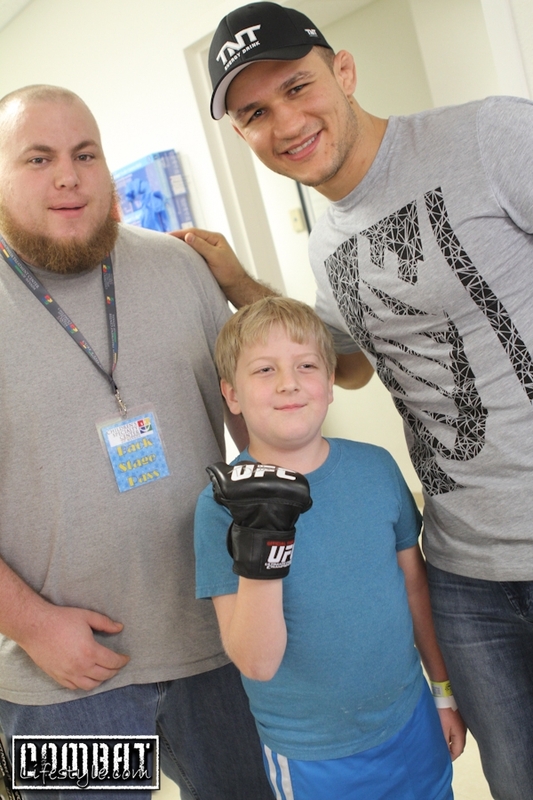 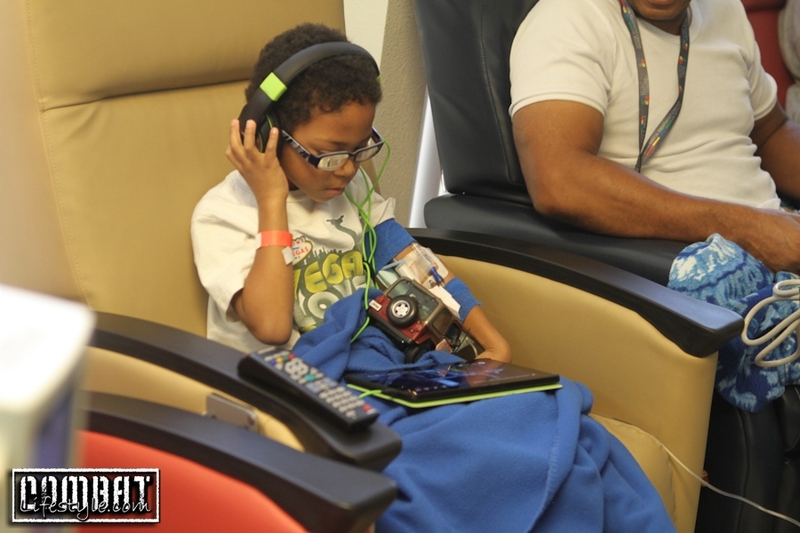 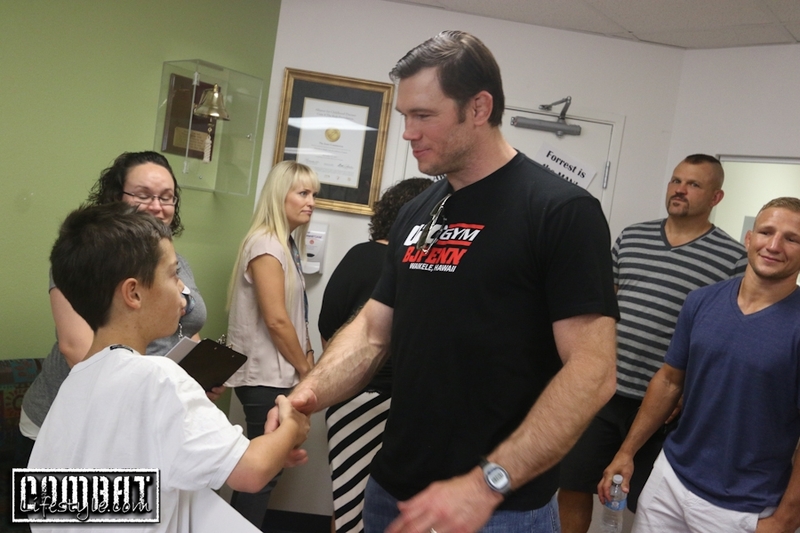 UFC Fighters Visit Childrens Specialty Center of Nevada during International Fight Week last week in Las Vegas. 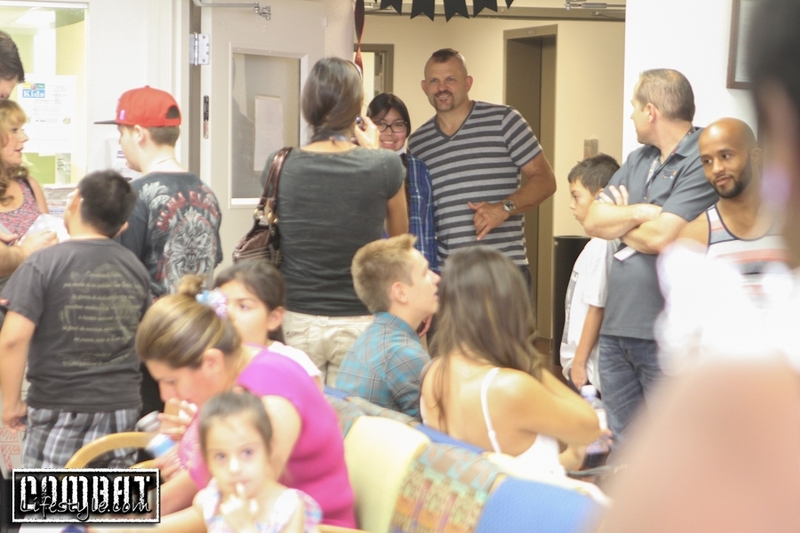 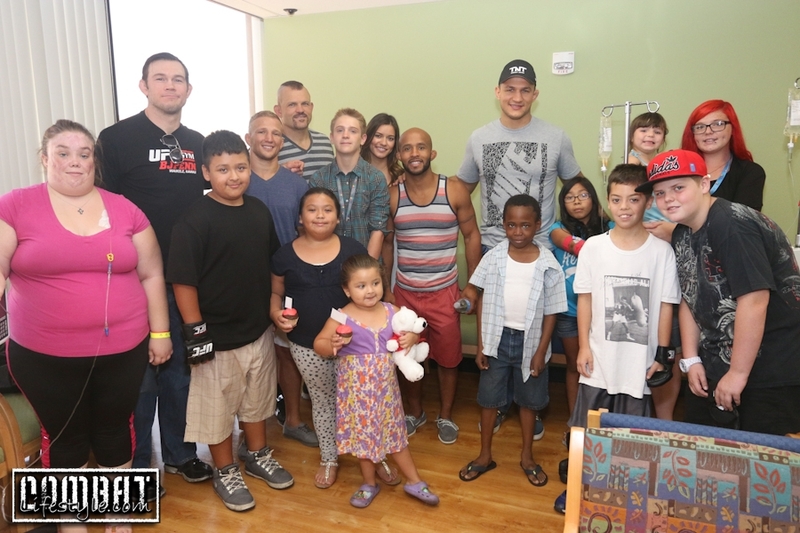 Chuck Liddell, Junior Dos Santos, Demetrious Johnson, TJ Dillashaw, and Vanessa Hanson were all on hand to say hello to the children in the infusion room of the Specialty Center.. 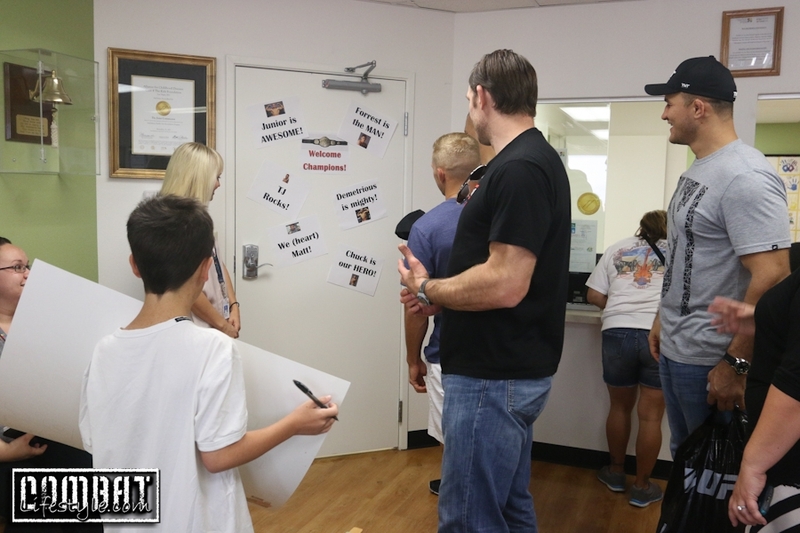 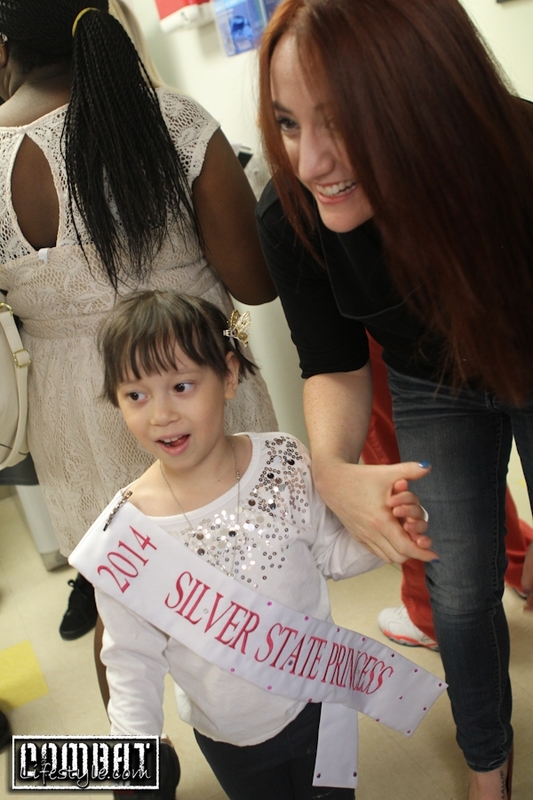 Located on Maryland Parkway, the Non-Profit Children’s Specialty Center of Nevada caters to children with catastrophic diseases. 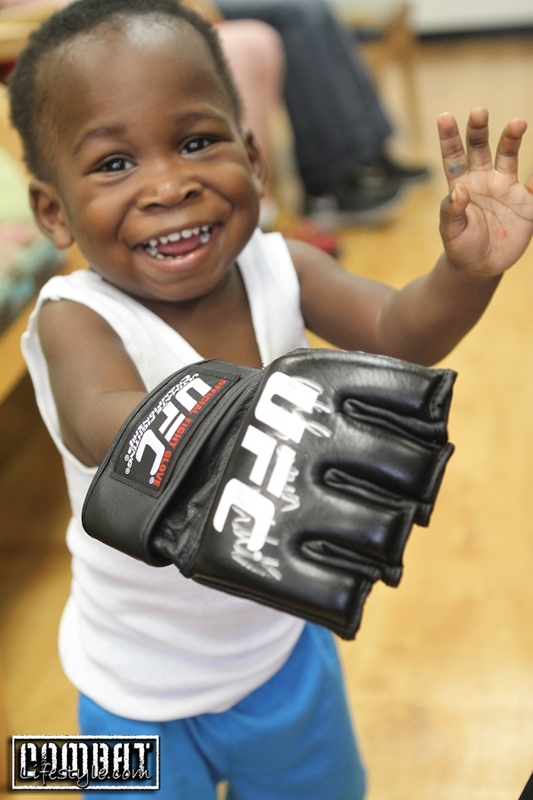 Their vision is consistent with the vision of their founder Dr. Jonathan Bernstein, that no child be deprived of care based on a family’s inability to pay for services. 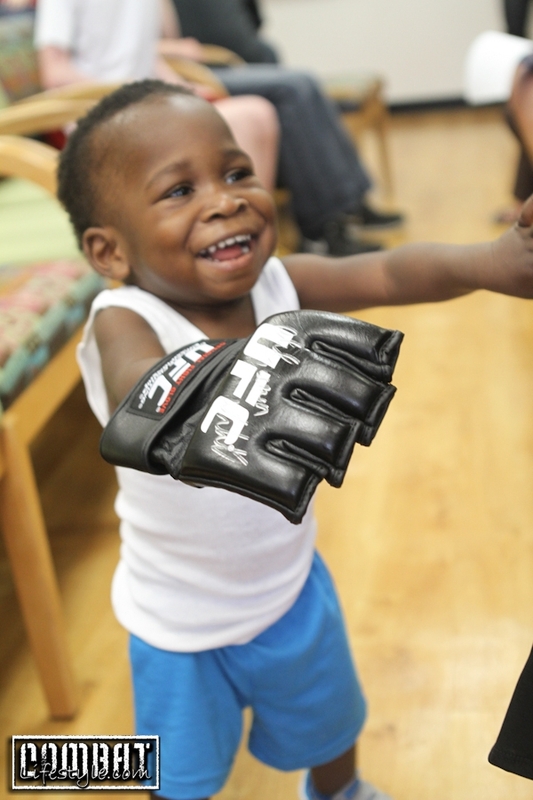 The UFC fighters put smiles on the children’s faces as they handed out fight gloves, signed autographs and took pictures with the kids. 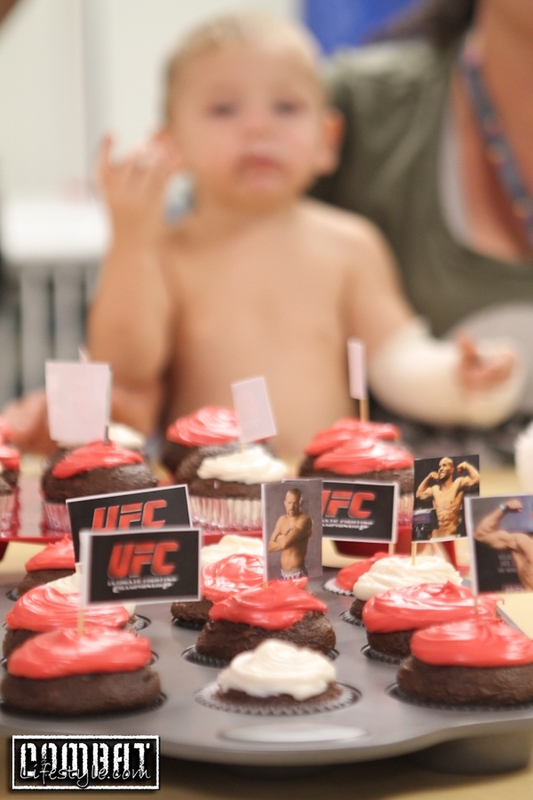 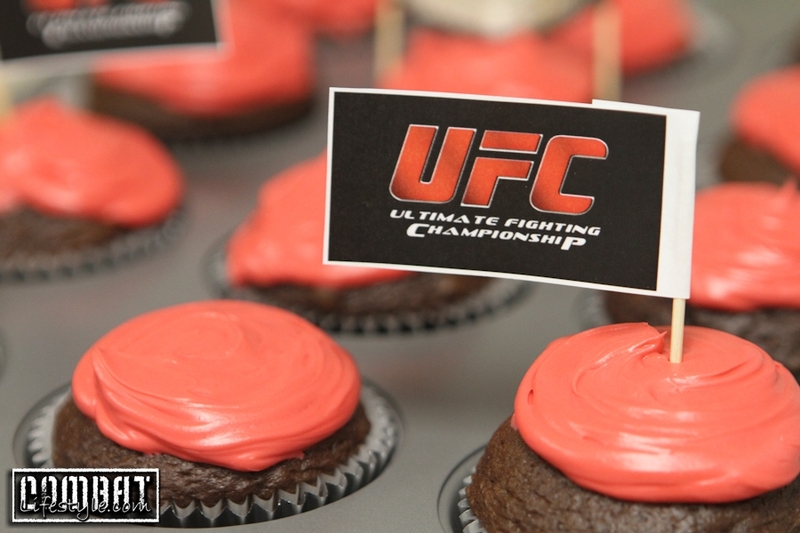 The children had decorated the walls with welcome signs and there were cupcakes waiting with the fighter’s pictures on it. 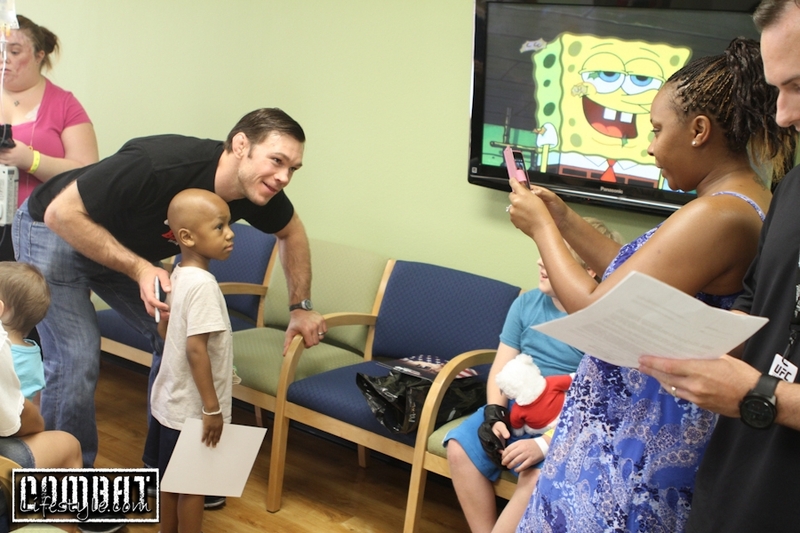 The best part of the visit was at the end when everyone gathered in the waiting room to take photos with the fighters. 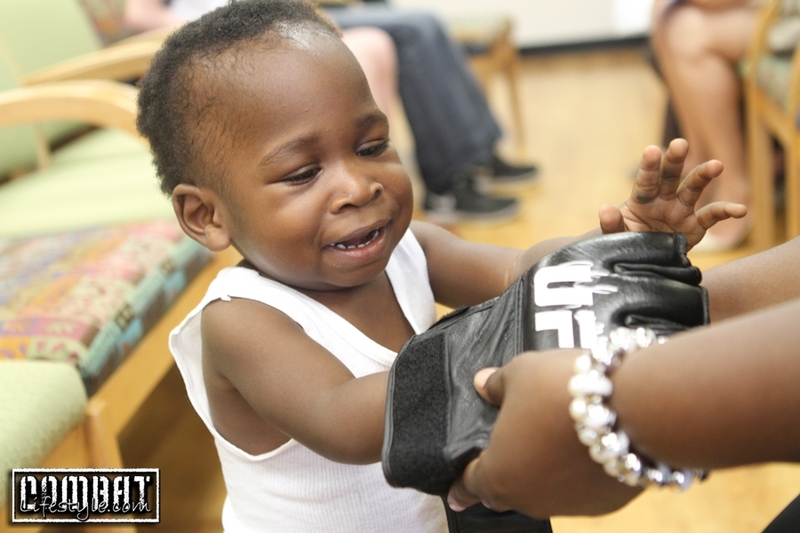 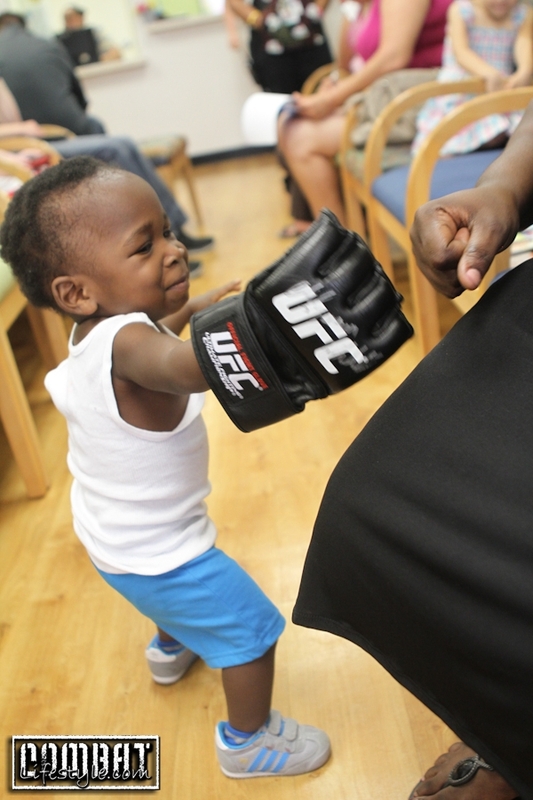 A 1 year old patient’s eyes lit up beyond belief when the UFC glove was placed on his hand. 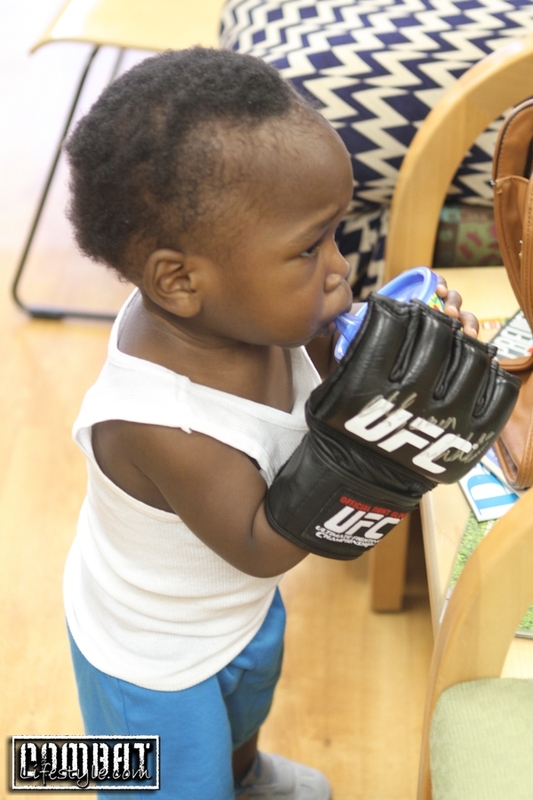 Would you believe he knew it was for punching and was seen walking around throwing his fist out? 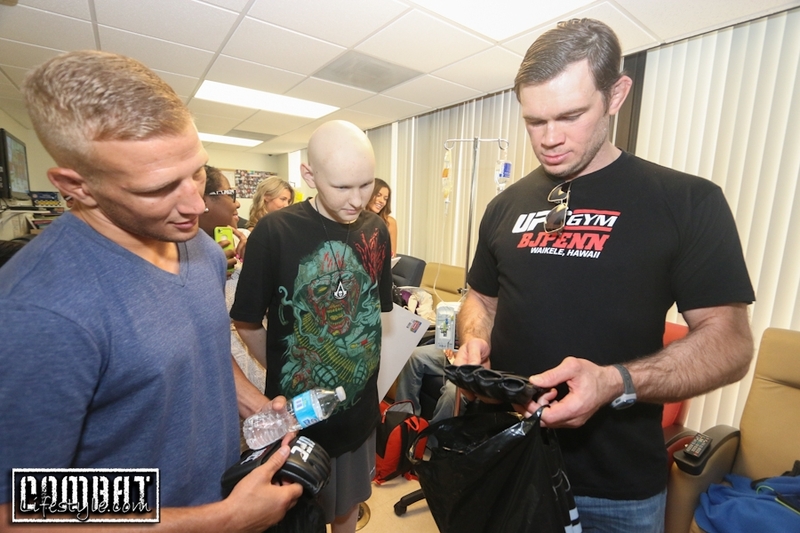 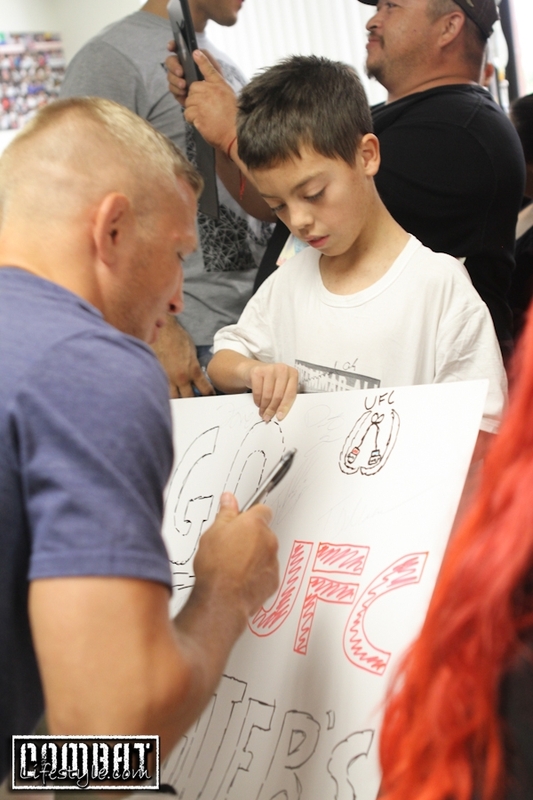 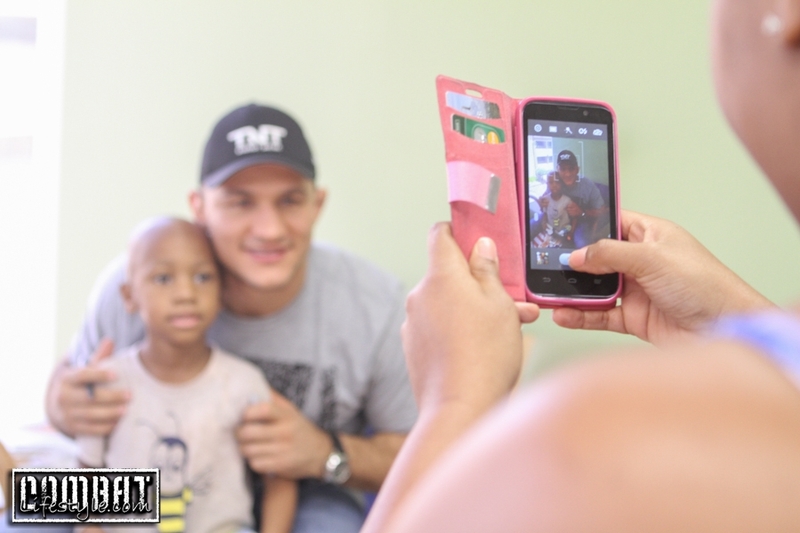 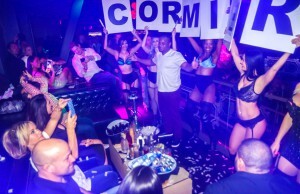 You can see his interaction with TJ Dillashaw as well as Junior Dos Santos in the photos. 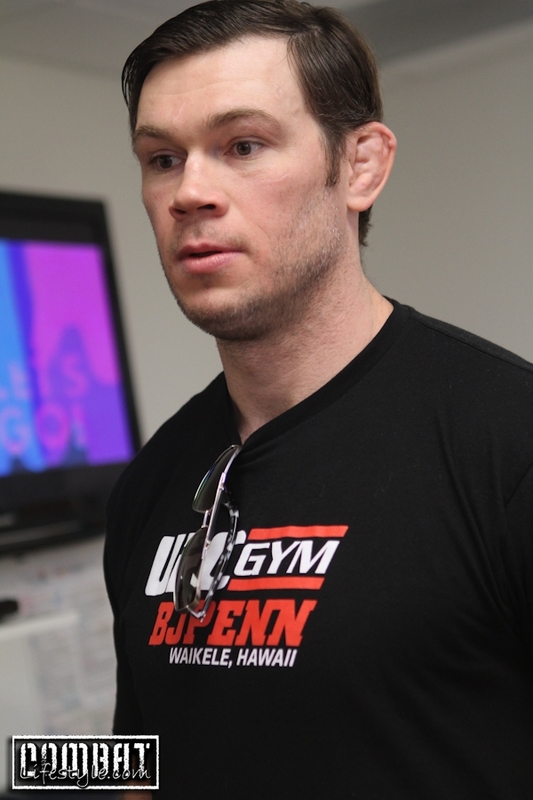 ← Previous Story Chris Algieri Celebrates Win and Potential Manny Pacquiao Matchup!